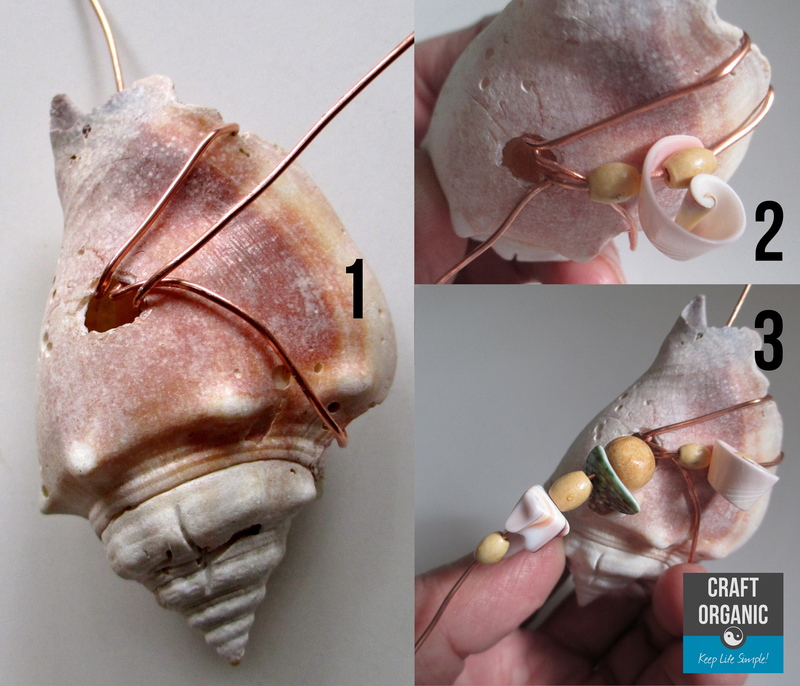 We had a few seashells that had holes in them so we used the holes for easier wire work. The holes were so helpful, we decided to make holes in the other shells. 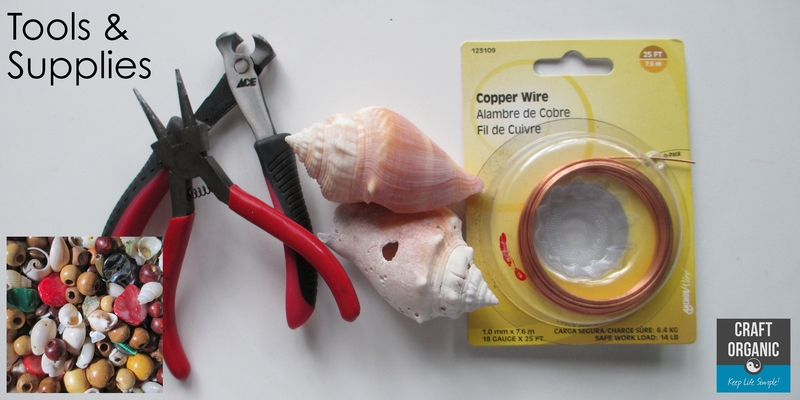 We tapped the seashell a couple times with something pointy (like needle nose pliers) and sometimes we broke the seashell but it usually made a hole. 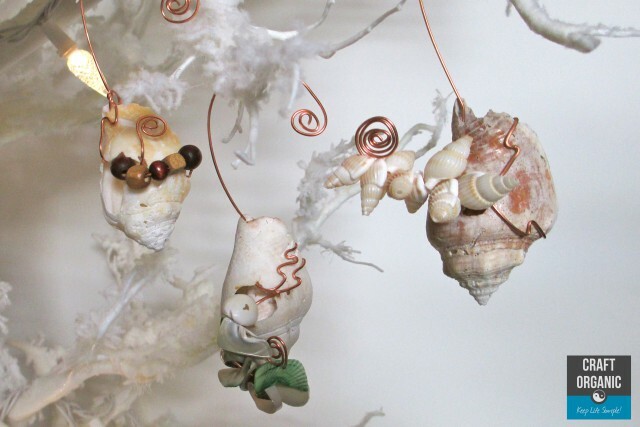 Your wire wrapped seashell ornaments will no doubt have your own touch and creativity in them, so don’t worry yourself by trying to make them look exactly like these. The instructions below are the basics of what we did. We took about 12 inches or more (didn’t measure) of wire and began to wrap it around the shell by going through the hole. 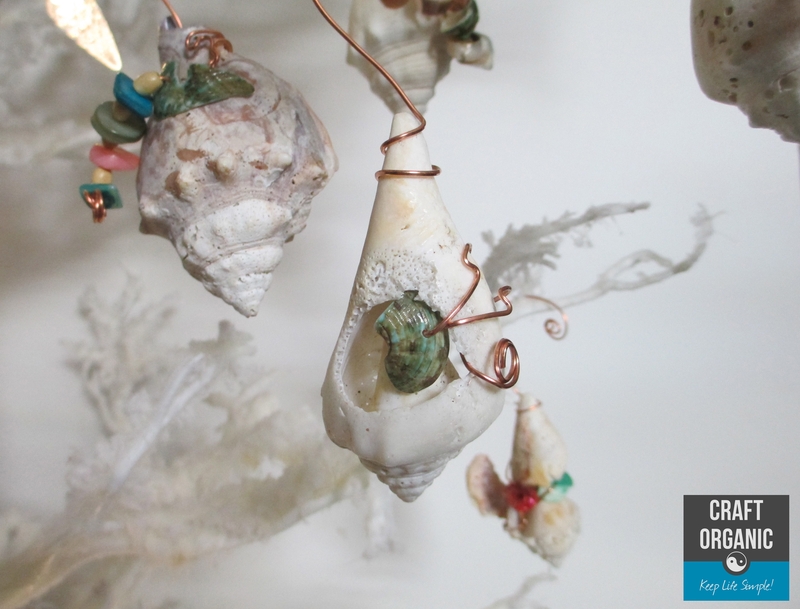 We extended one end of wire toward the top of the shell and left a few inches to create the hook to hang it. Go around the seashell and through the hole 1 to 3 times, each shell we did was different. We usually added more beads at the end of the wire and created a tight spiral to hold them in place. We used copper because we like the look but you can use whatever color you want. 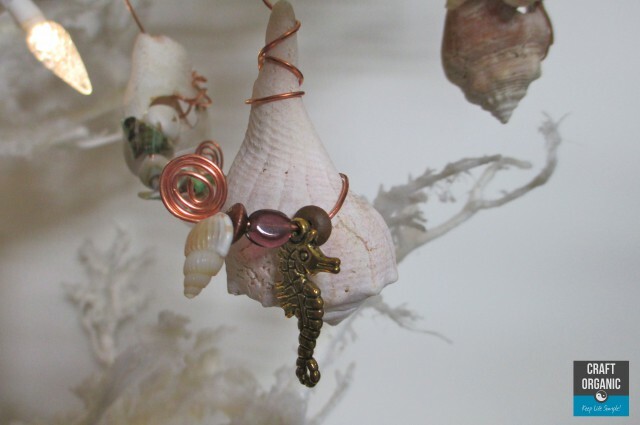 Same with beads and seashells. 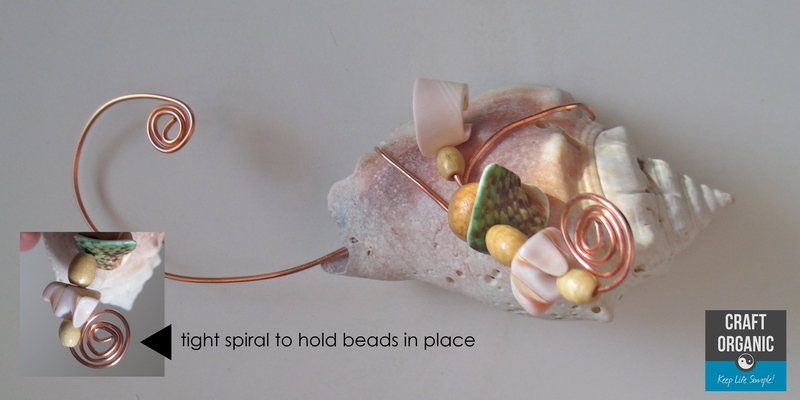 You don’t need to make a hole in the shell either, but you will likely use more wire without the hole. 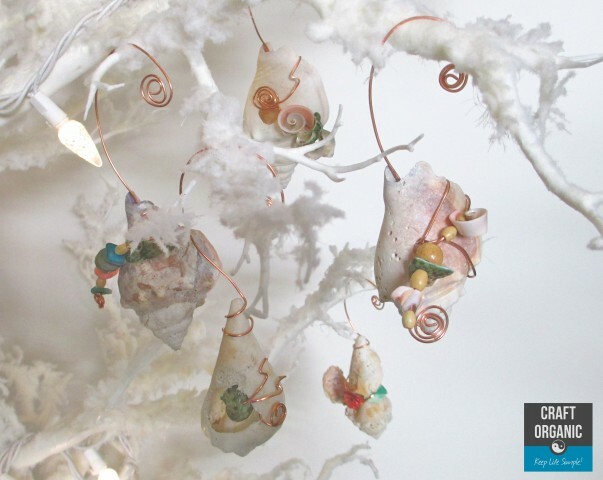 Check out a few more we made below…. Spectacular! They look amazing. Love the copper! Copper kills tillandsia plants. Its toxic to them. Try using a different metal.